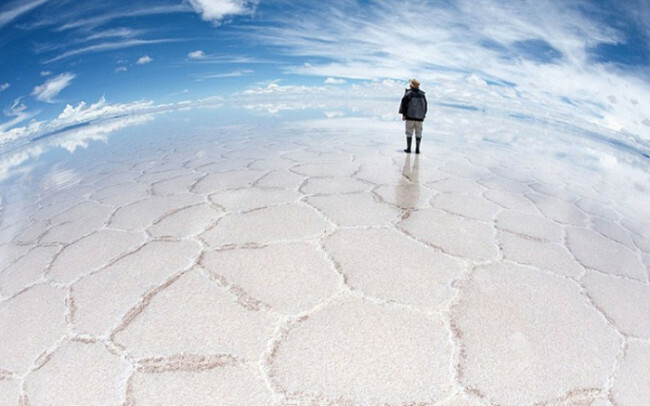 On the ground, there is still fantastically beautiful places, creating the impression of an unreal landscape from another planet. 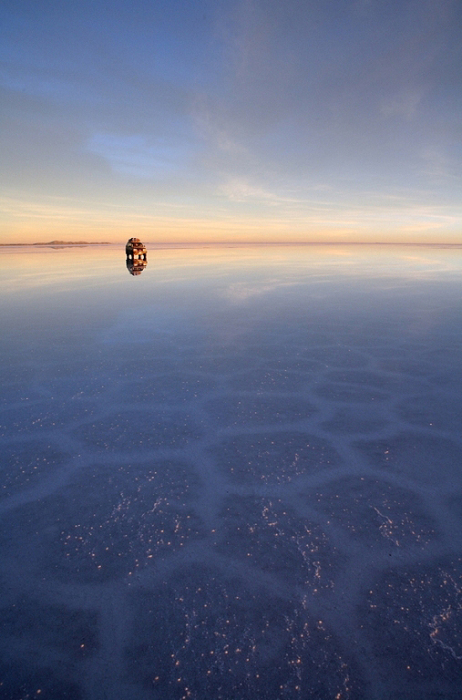 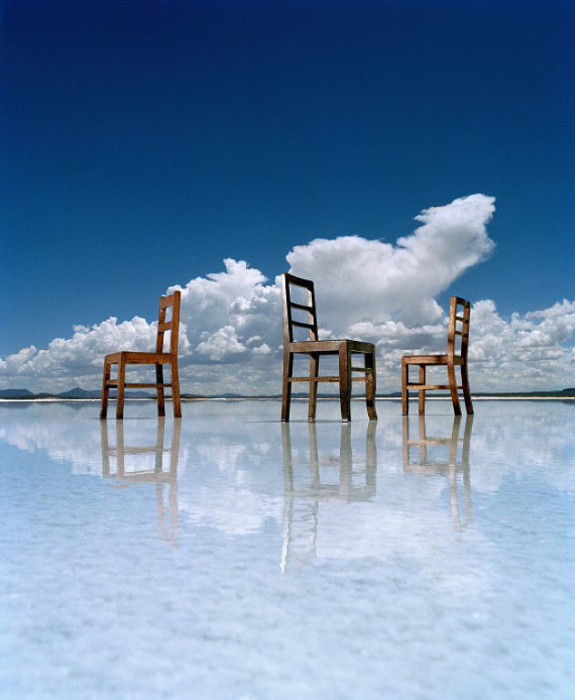 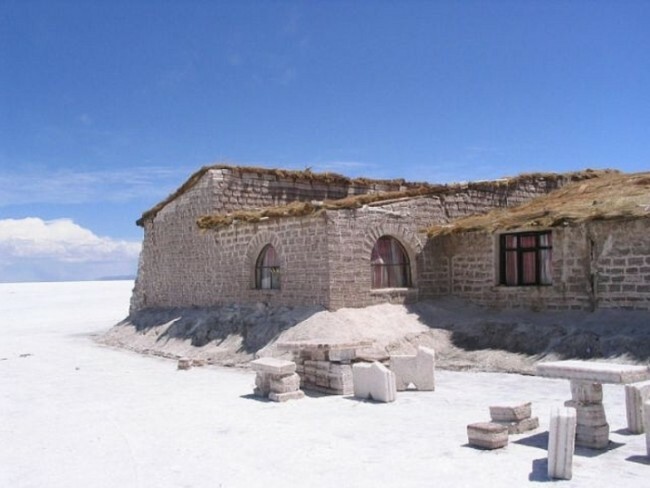 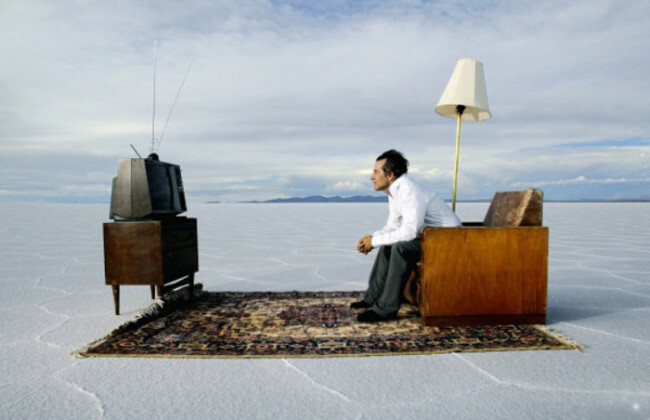 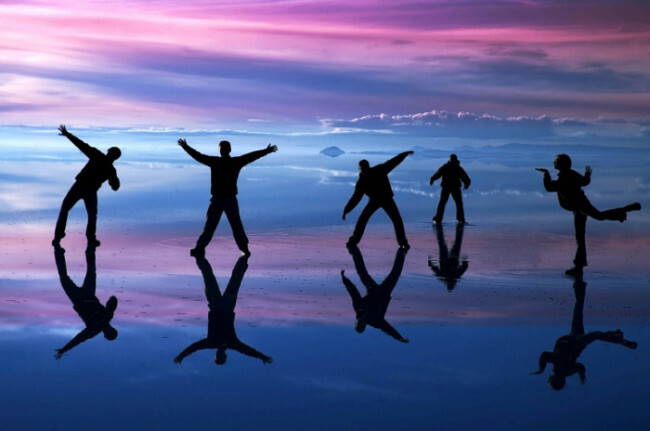 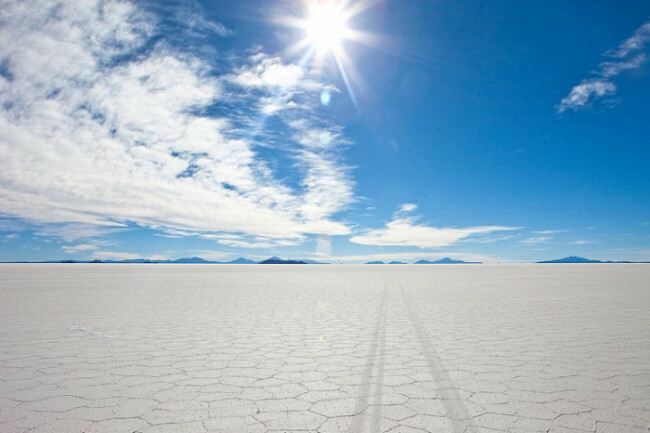 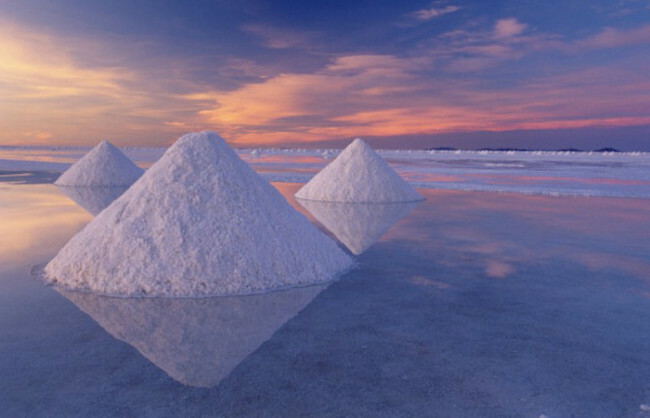 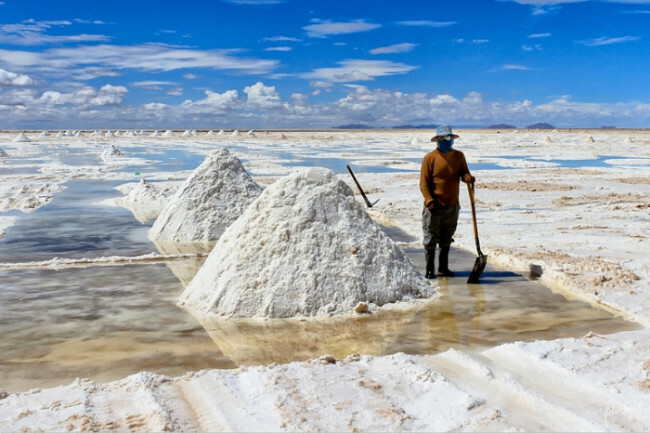 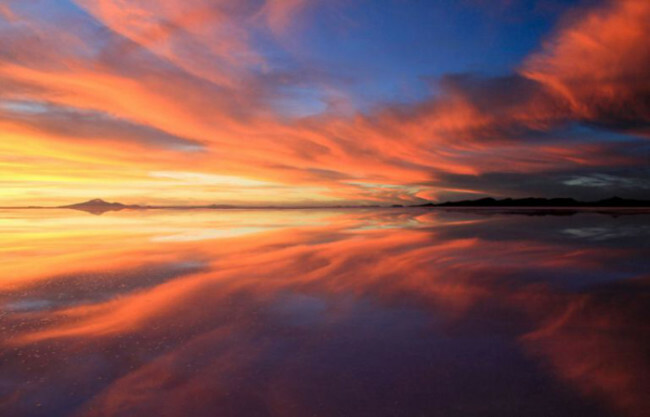 One of them – Salar de Uyuni, the mysterious salt flats in the Altiplano (Bolivia), attracts tourists from all over the world. 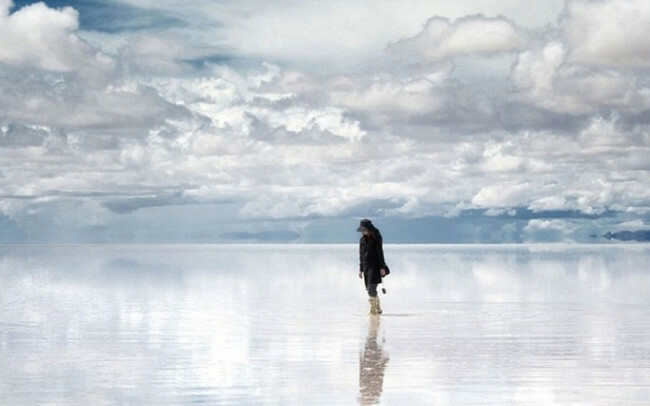 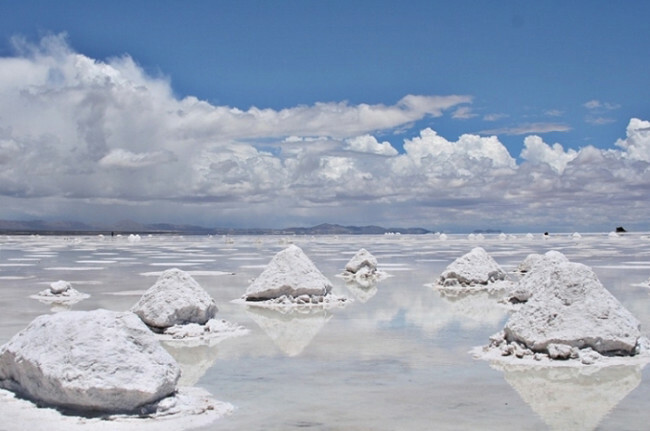 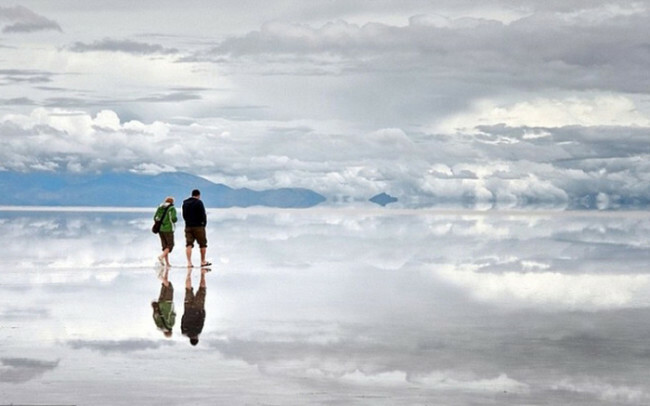 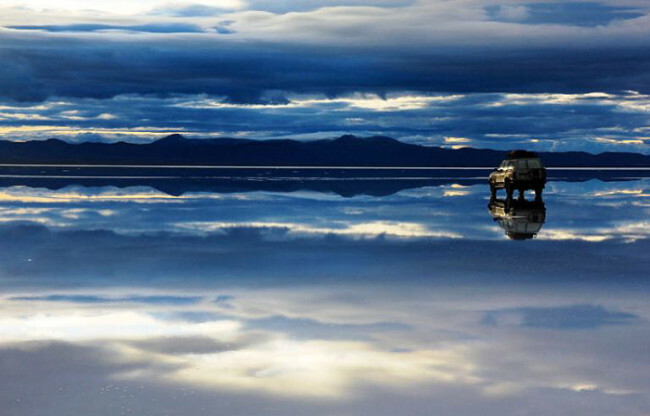 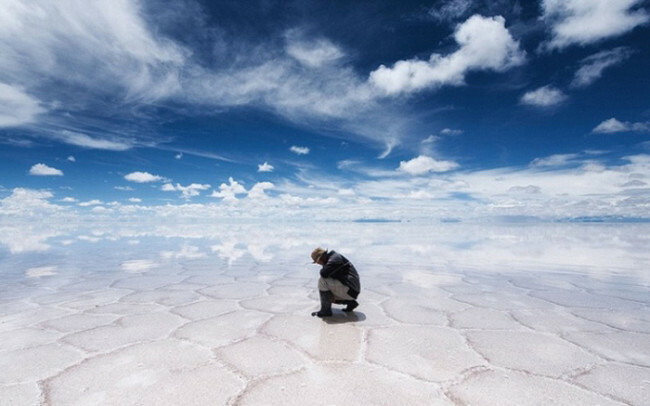 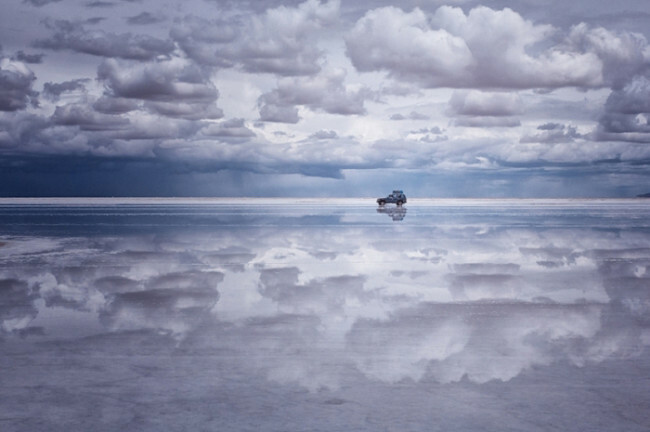 Huge snow-white “ocean” salts in combination with amazing blue sky “strewn” clouds in the rainy season becomes a huge mirror, creating the illusion of reflection and walking on water.